Aonang All Seasons Beach Resort Krabi. 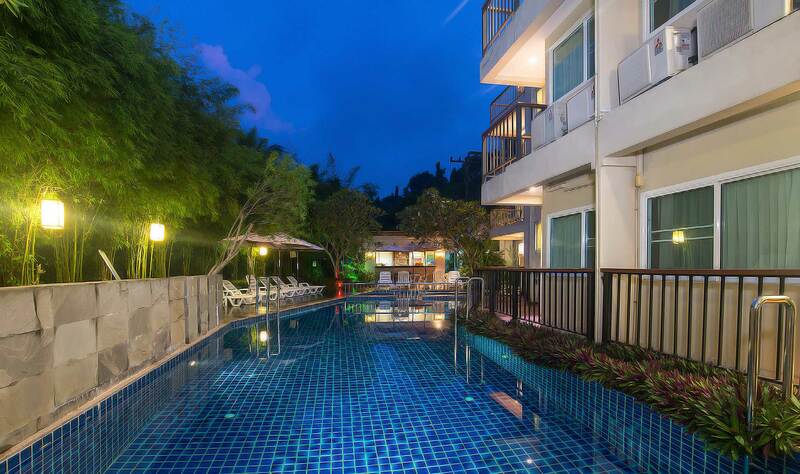 Located at 162 Moo.3 Tambol, Ao Nang , Aonang All Seasons Beach Resort is magical blend of Thai atmosphere, contemporary comfort and privileged services. Bright rooms with a high level of comfort, creating a sophisticated and elegance environment. Courteous and attentive staff, fully equipped comfortable rooms and affordable prices will make your stay in our resort pleasant and will leave unforgettable impressions. The 56 tastefully furnished rooms at Aonang All Seasons Beach Resort offer peace and harmony atmosphere. Each room has a cable TV, telephone, air conditioning, balcony, minibar, seating area, safe, private bathroom with free toiletries, shower and hairdryer. Free breakfast is also included. Private bathroom This twin/double room features a balcony, minibar and cable TV. Room features a personal safe and private balcony. This twin/double room features a balcony, minibar and cable TV. Private bathroom Features private balcony with views of the pool. 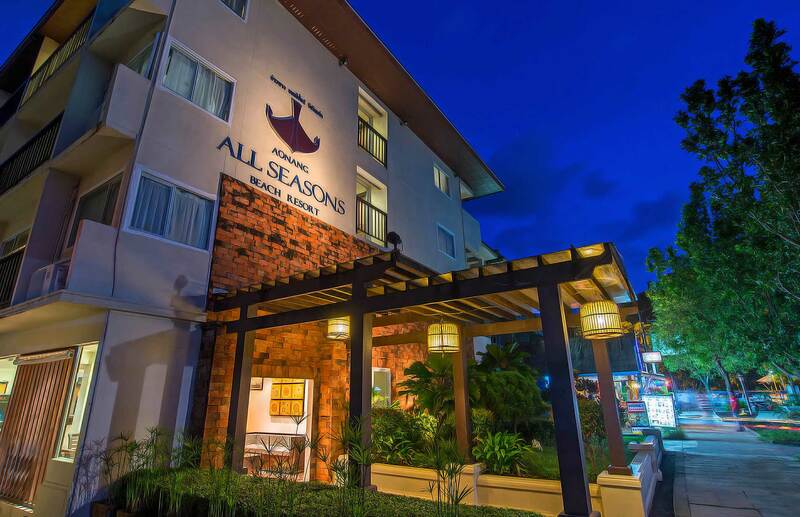 Aonang All Seasons Beach Resort offers access to a vast array of services & facilities including tour desk, baggage storage, 24 hour reception, ticket service, laundry/dry cleaning, free wifi internet, lift, a restaurant, a bar, an outdoor pool with jacuzzi and sun deck. Our swimming pools use fresh water which provides cleaner and safer water for you and your loved ones to enjoy. The swimming pools along with the Pool Bar may be enjoyed by guests of the daily from 8am until 8pm. Our Restaurant presents: Europian foods with Asian tastes. Thai herbs and spices combined with delicious recipes from the Europe. The canel Restaurant features traditional Thai Dishes, Europian cuisine and at its best. The great choice of delicious and healthy Thai food can be prepared according to your taste. No matter if you like it spicy or not, every course will always be tastefully prepared with the typical Thai Herbs.